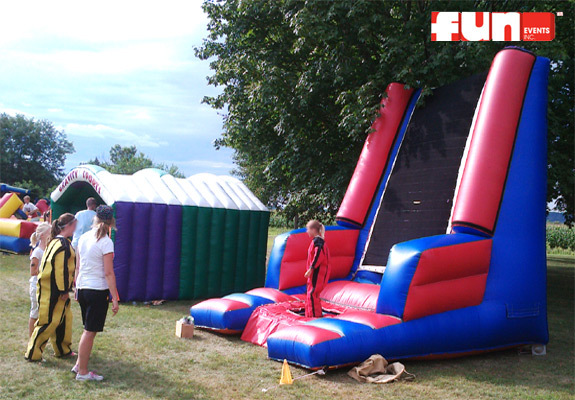 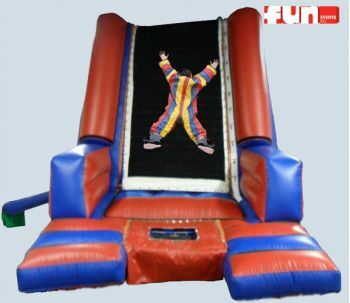 Climb into the special Velcro jumpsuit then run jump or flip, and see what it is like to be a fly on the wall! 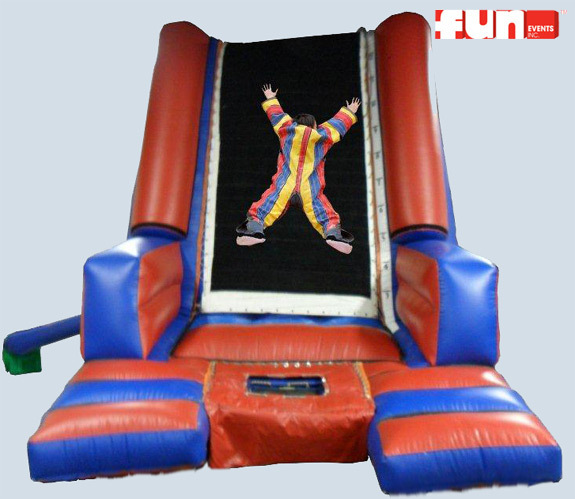 Put on the Velcro suit, bounce & leap onto our inflatable Velcro covered wall and stick whichever way you land. Your guests will finally know what it is like to be like a fly stuck in a spider web with this fun interactive inflatable rental.